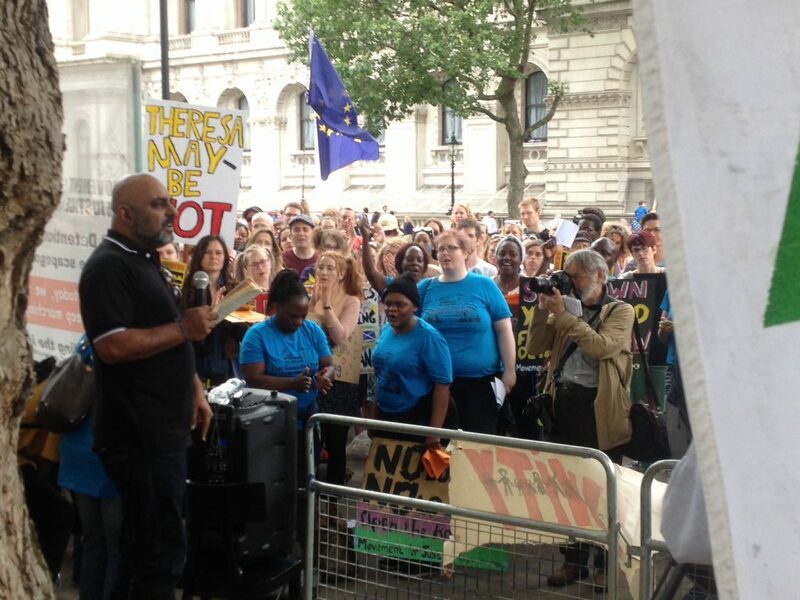 Migrants, refugee rights and anti-racist campaigners joined forces with the pro European movement in a show of determination that we would keep campaigning for an open and tolerant Britain welcoming people from all over the world. “The determination to keep fighting to defend free movement and keep Britain open was clear to see. As we face a growing climate of fear, racism, and division, it’s more important than ever that we take our campaign to the streets. “Another Europe will keep the flag flying for a Europe based on solidarity, tolerance, compassion,human rights, environmental sustainability and social justice. 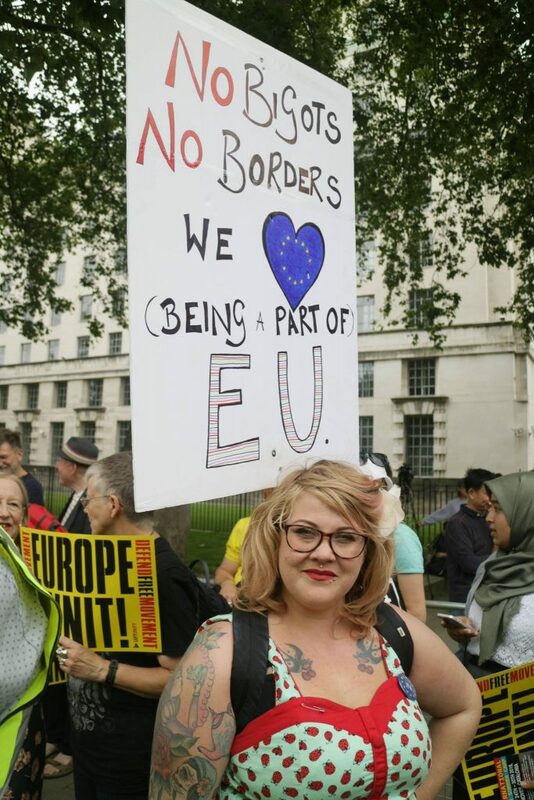 That means opposing the lurch to nationalism and xenophobia that has taken hold in Britain. 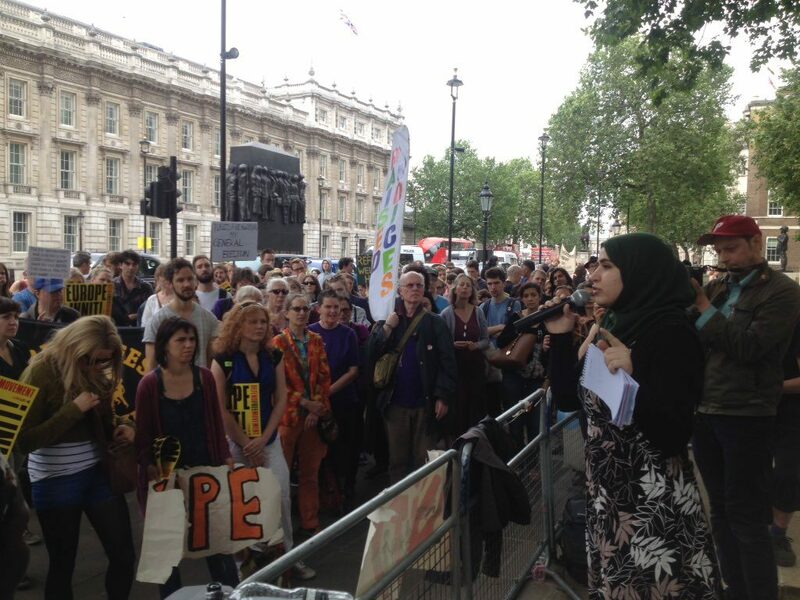 “The four pillars of our movement – environmental sustainability, employment protections, human rights, and free movement – are at risk from Theresa May’s right wing and populist administration. We must campaign tirelessly to defend them through the impending negotiations on Britain’s future. Syrian activist Muzna Al-Naib discusses the refugee crisis and the Assad’s war on his own people. Photo: Another Europe. Asad Rehman from Friends of the Earth addresses the protestors. Photo: Another Europe. 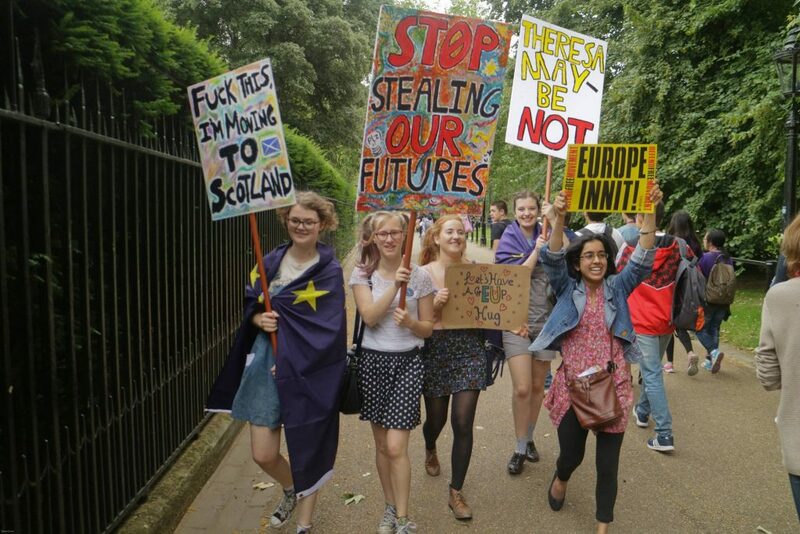 Protestors joined the picnic for Europe in Green Park after the rally. Photo: Steve Eason. 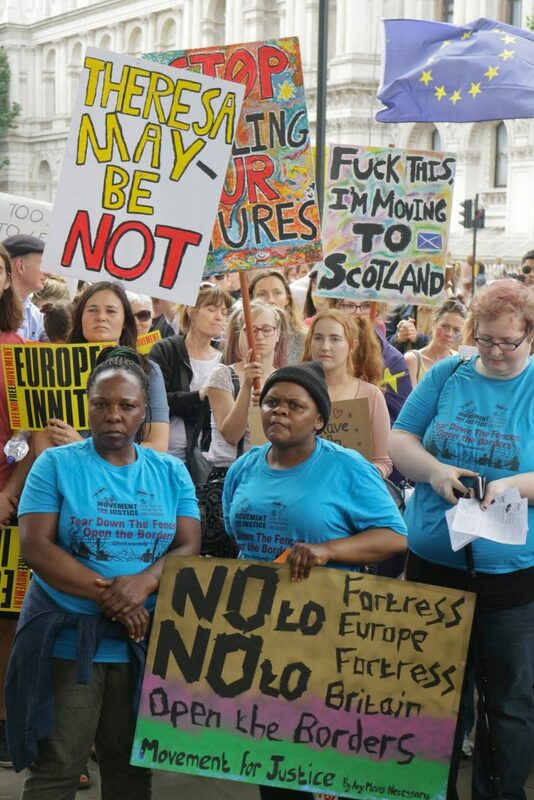 Opposing ‘Fortress Europe’ and ‘Fortress Britain’ go hand in hand. Photo: Steve Eason. Still here, still fighting to defend free movement. Photo: Steve Eason.